Anthony Burgess, deceased British writer, (in)famous for writing “A Clockwork Orange”, a novel about punishment and morality which was made into a movie by Stanley Kubrick, which movie was subsequently banned for glorifying violence. A multilingual polymath, Burgess also wrote music (in fact, that’s what he’d wanted to study at university but was turned down because he had not studied the pre-requisite subject of physics!). Burgess was not only a writer of fiction, but, like many other writers, a literary historian and critic. He was particularly interested in D.H. Lawrence and James Joyce and had interesting and insightful things to say about them both. 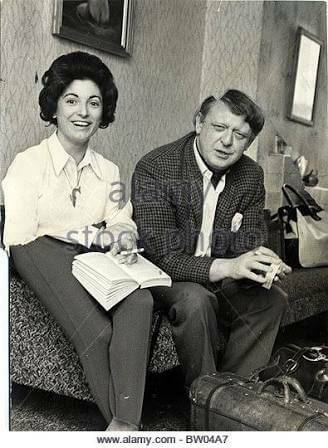 In “The Burgess Variations”, an excellent two-part documentary on Burgess’ life and work (part 1 here, and part 2 here), Gore Vidal said he thought Burgess’ infatuation (or was it “obsession”?) with Joyce was unhealthy, primarily because Vidal thought Burgess was much better than Joyce! Burgess’ life story had several interesting points, which probably say as much about me as about Burgess: his first marriage did not end well – his wife was an(other) Irish alcoholic, though feisty and had no doubt a liberating influence on the rather strait-laced Burgess (brought up in Catholic Jesuit boys’ schools) and they would get drunk together regularly. The drinking eventually killed his wife, and the doctors at the hospital where she passed away pointedly asked Burgess how well he knew her, i.e. why the hell did you let her get to this state? His second wife was an Italian who had translated some of his works. She is introduced in the documentary in the chapter titled “Liana”, and the chapter opens with a photo of Liana and Burgess and the camera slowly zooms in on Liana’s face, which immediately captured my attention, it was strikingly beautiful, perhaps not in a classical sense but it had such life and joy in it, I immediately felt glad Burgess had found and had the good sense to marry this woman, as a counter to his previous marriage. He has some interesting things to say about writing for money, which contrasts interestingly with what Bradbury had to say about the subject (“Don’t do it! Ever!”) – see the video at the top of this blog. « Ray Bradbury – Don’t tell anyone what you’re doing!